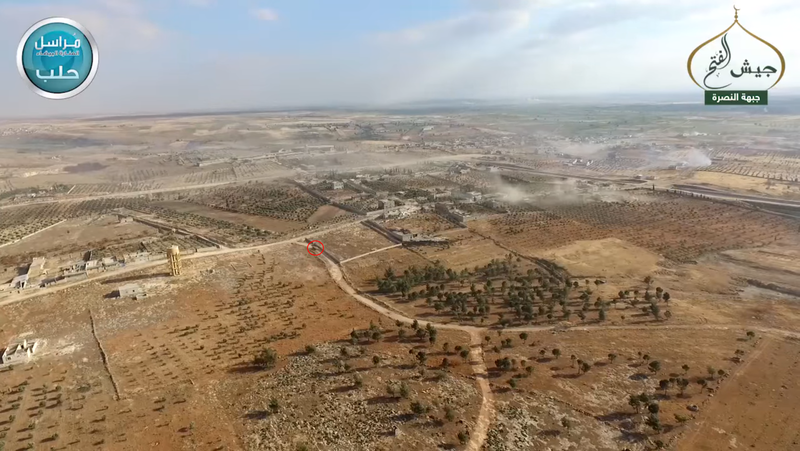 On 5 May 2016 forces from the Syrian Islamist conglomeration Jaysh al-Fatah (Army of Conquest) launched an offensive on Khan Tuman, a village 15km south of Aleppo. 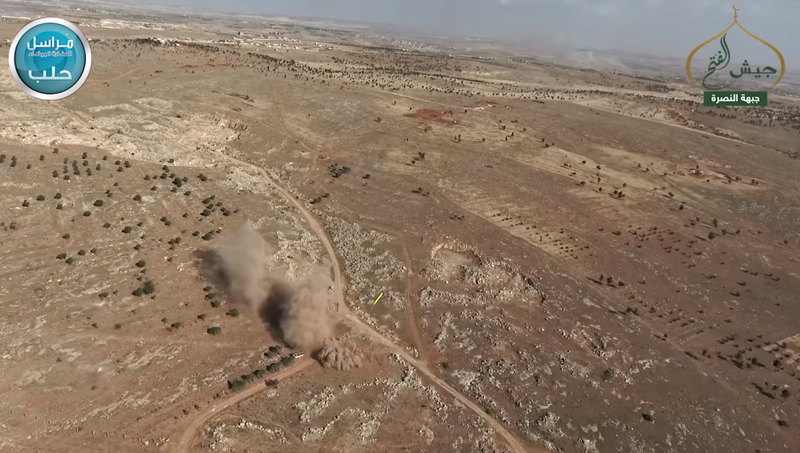 The battle was filmed from several angles, with some cameras being on the ground and others mounted on drones. 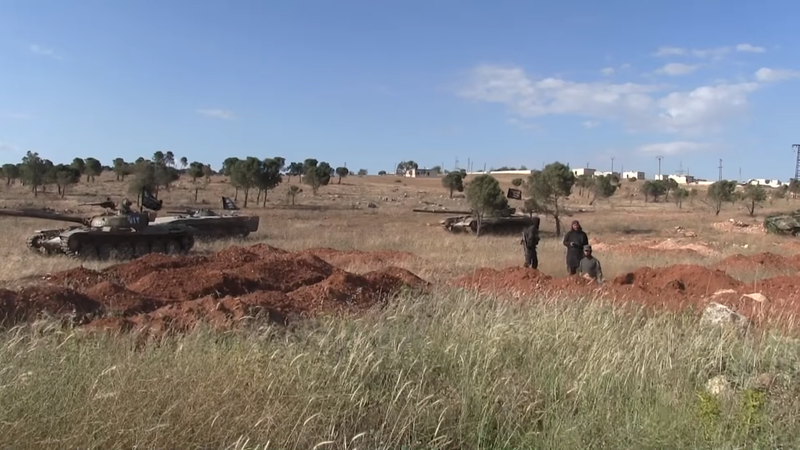 The video featured a VBIED attack followed by a “mechanized” assault on Khan Tuman which captured the key supply town. Heavy losses have been reported among government troops and they were forced to withdraw from the town. The assault utilized several main battle tanks and infantry fighting vehicles, along with at least two modified armored fighting vehicles. 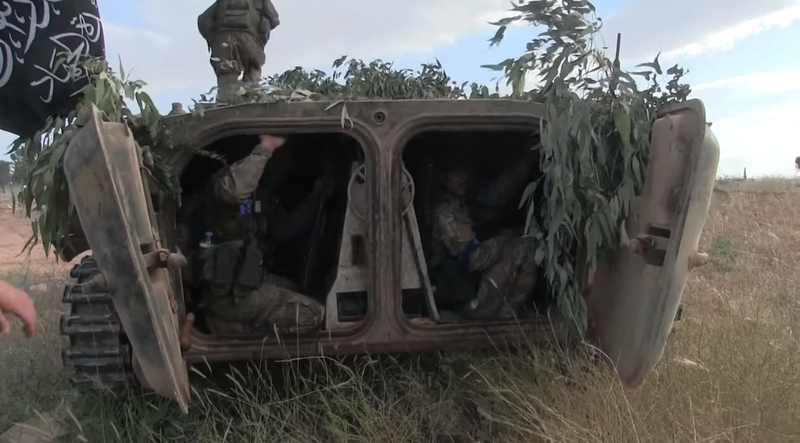 The assault started with a rocket attack immediately followed by a vehicle-borne improvised explosive device (VBIED) attack on what we can assume was a central defensive position. 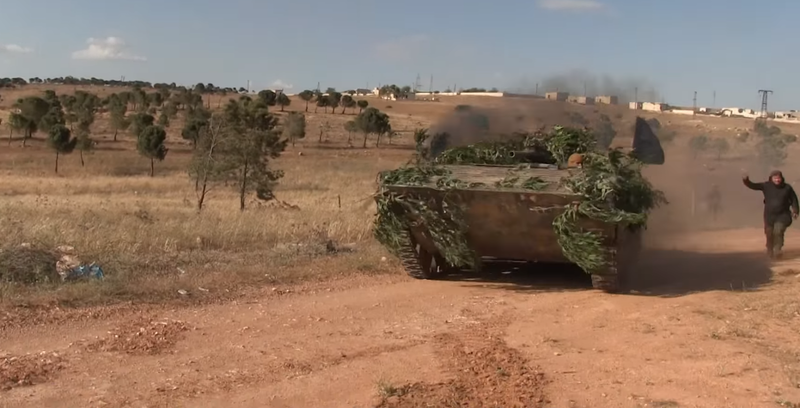 In the video it’s too difficult to see the exact vehicle that makes the suicide attack, but based on the fact that this is the only scene which features the following modified BMP, it is safe to assume that it may have been the vehicle in question. 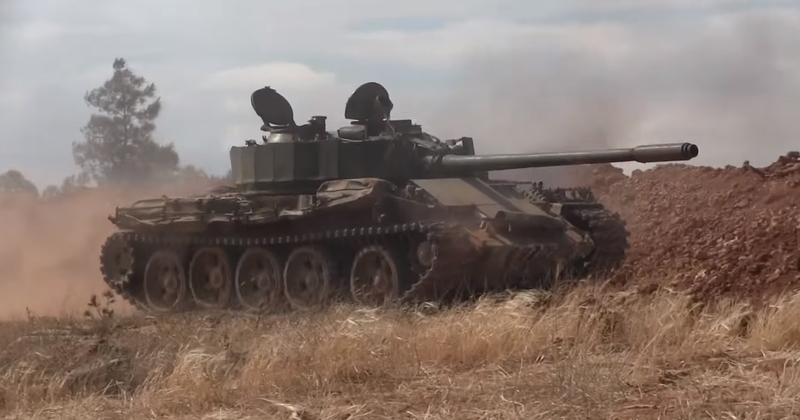 The VBIED/rocket attack as followed up shortly by an assault by infantry transported in BMPs, some modified/missing their turrets, supported by several main battle tanks, including a heavily modified T-55 and two T-72s. 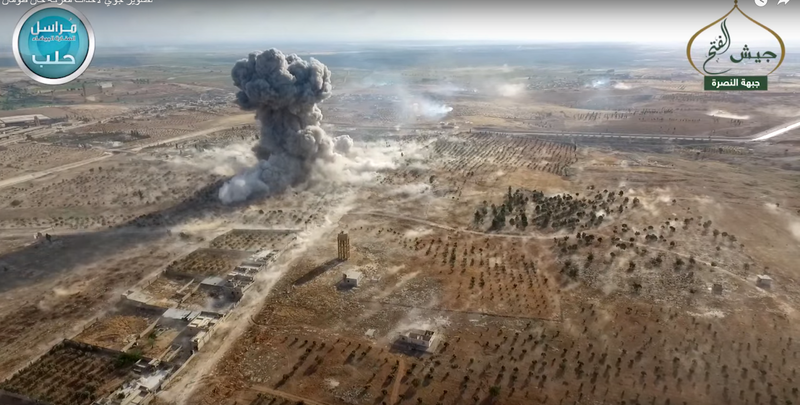 The regime retaliated with artillery and air strikes in the area of the assault, but ultimately loyalist forces were forced to retreat. 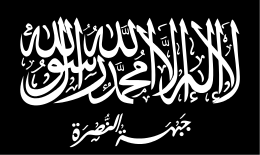 All-told, about 43 members of Jaysh al-Fatah, primarily Jabhat al-Nusra (al-Qaeda in Syria) were killed in the fighting, along with about 30 loyalist soldiers. The next 48-72 hours will undoubtedly see a regime counterattack to retake the strategic supply town which straddles an important road into Aleppo. Realistically, what are the prospective outcomes here? Daesh is on the run, as I understand it, but they still control a lot of territory. The Assad regime is beyond redemption, and the Iraqi government is a corrupt, ineffective mess. This doesn't look like the kind of situation that can be resolved by half measures. Is there any hope for the good guys to win? Are there even good guys?